In an effort to keep the iconic Saab brand on the road, we are proud to announce the launch the “Parts for Life” initiative. Beginning on Tuesday, September 19, the initiative provides a lifetime warranty on Original parts to Saab owners who repair or service their cars at a Saab official service center. 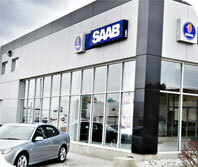 The ultimate goal is to drive excitement around the Saab brand and more traffic into your service center. In addition to preserving and restoring Saab cars, the initiative will also support the work of Nordens Ark, a Sweden-based organization, which works to protect endangered species around the world. The closing of Saab Automobile in 2011 means that the generation of cars currently on our roads will be the last, but it doesn’t mean the iconic automobile needs to head the way of extinction. 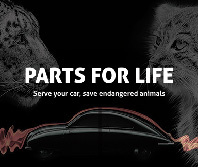 Thanks to the “Parts for Life” initiative, Saab owners can have their car repaired with Original parts and simply activate the lifetime warranty at www.partsforlife.com/claims. Parts for Life is a year-long campaign and will be heavily promoted via social media, extensive reach out to the press plus we will provide you with the tools you need to help you grow the business. 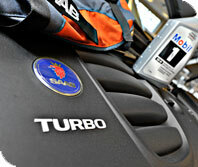 Budds' Saab Service Team Keeps You Running! With over 50 years of experience between our factory trained technicians, no one is better prepared to service your Saab. You can even book your service appointment online and schedule your maintenance with our Saab Service Experts, click here. As of August 1, 2014, all Saab Parts and Service will move to our GM facility at 410 South Service Road West.